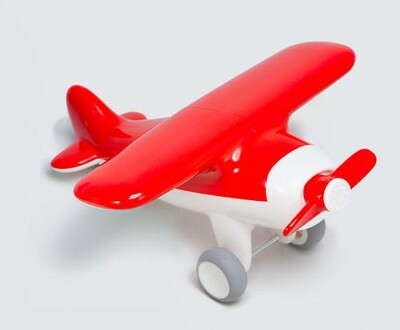 Little kids will love this adorable gliding plane! Designed for children as young as 1, this colorful plane features rolling rubber wheels and a spinning front propeller. Q: I was wondering how big this toy plane was. I'm the author/artist and I want to review Airplane - Red.